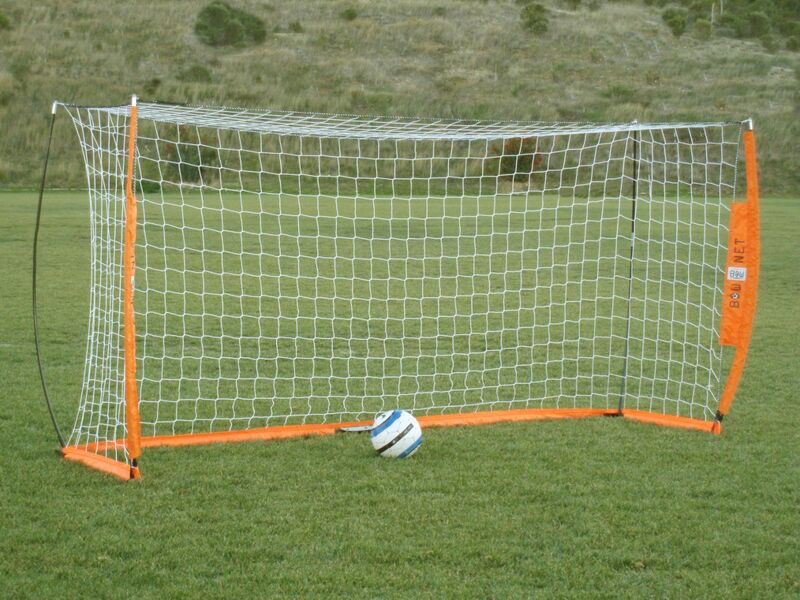 With a setup time of less than two minutes, this portable soccer goal only needs one person for setup. In 80 seconds, you can be shooting on goal! 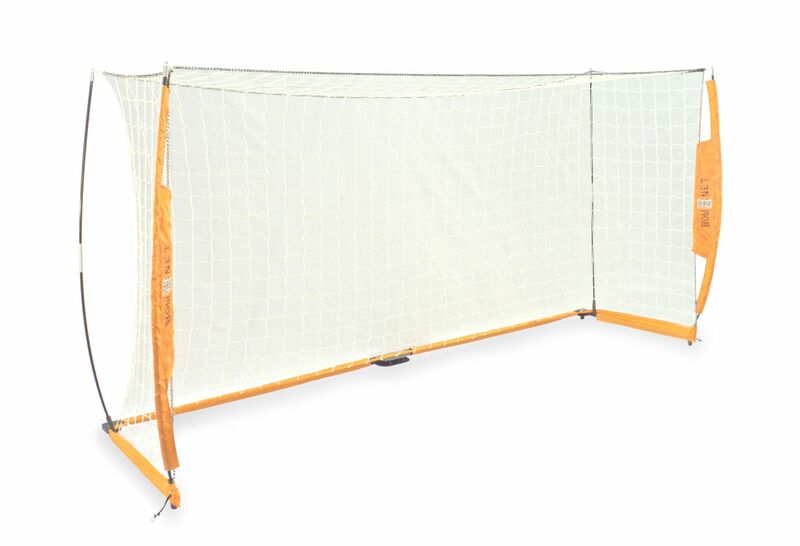 The 5x10 soccer goal comes with a FREE roller bag that measures 10" by 60" and easily fits the goal. 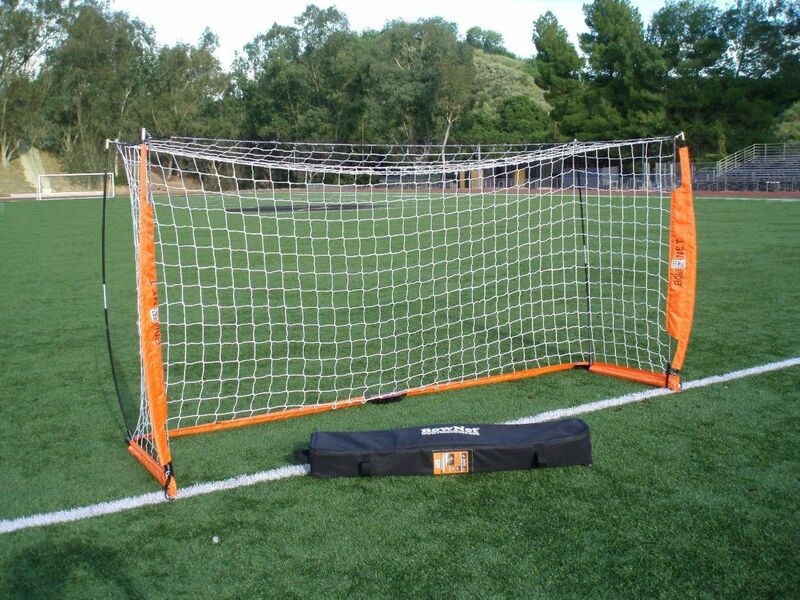 The goal poles are made of rigged steel and fiberglass. They are powder coated and measure 25 mm in diameter, steel pipe. 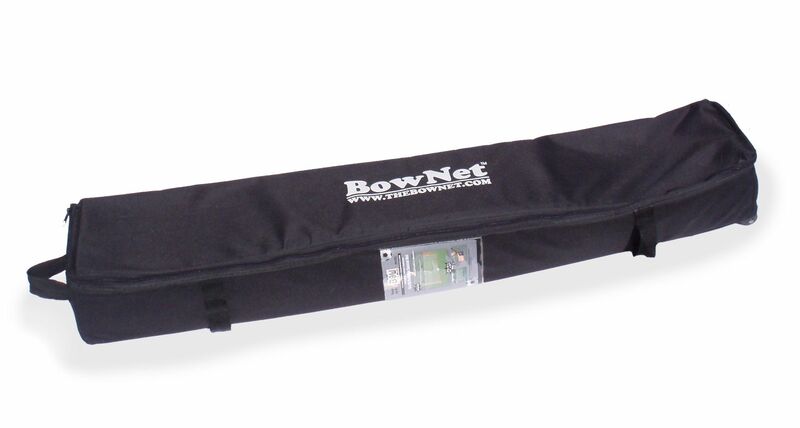 The "bow" part of the goal is the 12.7 mm fiberglass bow poles. The net is 100% poly UV-treated and is knot-less. FREE Roller Bag Great for transporting and storing. Includes Stakes Easy to secure your goal. Easy to Setup No tools are needed for setup. Fast to Setup 80 seconds and you will be playing!